“Our go-to tool for creating interactive content. “Best interactive content creator around! 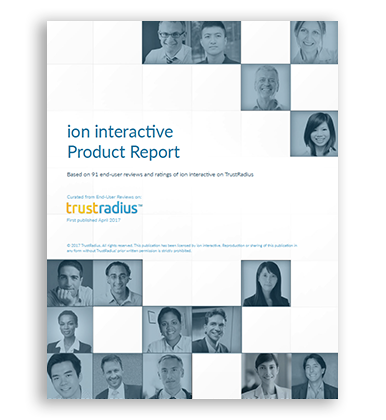 Based on 97 end-user reviews and ratings of ion interactive on TrustRadius. “An excellent all around product. “Great addition to our marketing tools. “I love the ability to create within ion. “The platform is a top-tier CMS. “Solid customer services and support. “Best enterprise site solution on the market. Check out the complete listing of all the GetApp reviews!